SeenThroughGlass Ep. 6 – Corvette Z06 on Steroids! Ep. 6 – IT’S ‘MERICA’S SUPERCAR, THE CORVETTE Z06! ONLY THIS ONE’S MODIFIED AND STUPIDLY POWERFUL. 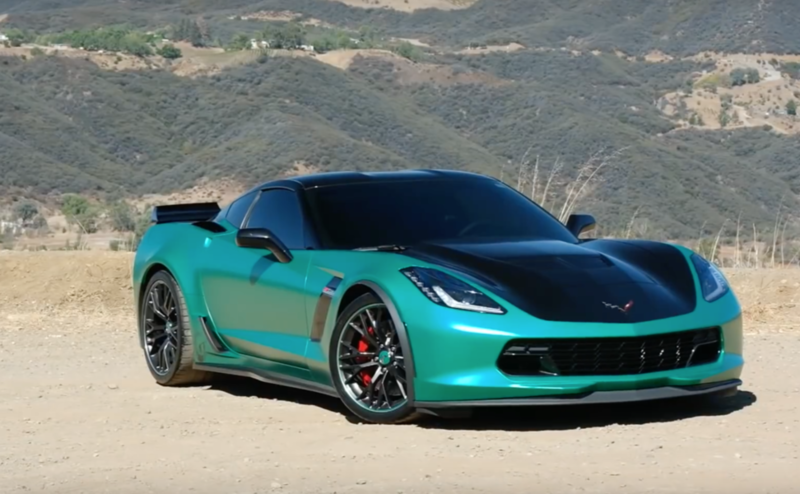 Sam describes the Corvette Z06 as “America’s Supercar,” and most enthusiasts will agree. With 650 horses, 650 lb/ft torque, a well-balanced feel, an aggressive yet tasteful design and a relatively low price-tag, the Z06 deserves its many accolades. It’s the quintessential American sports car, and ‘merica should be proud. And then there’s Damian Gryzelko’s green satin monster. With his modifications, a car that was already at the upward threshold of controllable power goes mental. 750 hp, 800 lb/ft of torque. And it’s loud. Very loud. Eardrum-popping, GoPro-busting loud. Even when it’s just cruising. Although slightly daunted at first, Sam has an absolute blast tearing through the California mountain roads, shattering nearby windows with every rev, and shifting through this puppy’s gears–its auto rev-matching is sublime.